Trees, trees, everywhere — and not just evergreens. 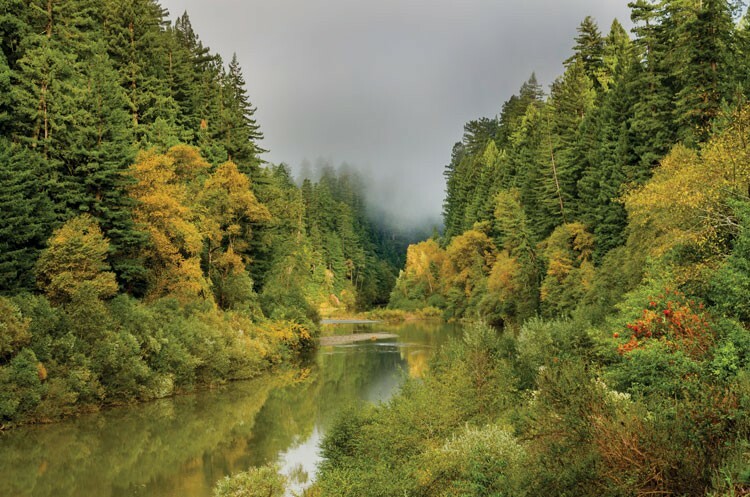 Maple madness, a little known tradition in Humboldt, offers fall foliage and apple orchards bear the fruit of a festival and award-winning hard ciders. Feast your eyes on Eureka's sculpture scene (which is looking up), a world record steer, Shakespeare in the redwoods, a rare lunar event and a trail that might just lead to Bigfoot. While the coastal redwoods take star billing in Humboldt County, our forests include other arboreal species of note, in particular the big leaf and vine maples, whose leaves swap their chlorophyll greens in favor of bright yellows and sometimes oranges and reds each autumn. In Humboldt Redwoods State Park, where redwoods reach as high as 370 feet, other trees must try their best to follow suit, muscling their way into as much sunlight as they can. One success is the so-called honey maple, determined a few years ago to be the world's tallest maple tree. The 160-foot-tall champion is quite a looker too, elegantly spreading out its limbs in a peaceful forest along the Avenue of the Giants between Pepperwood and Founder's Grove. Ask about it at the park visitor center on the Avenue (17119 Avenue of the Giants, Weott, 707-946-2409) and you're likely to learn the exact spot if you're nice. 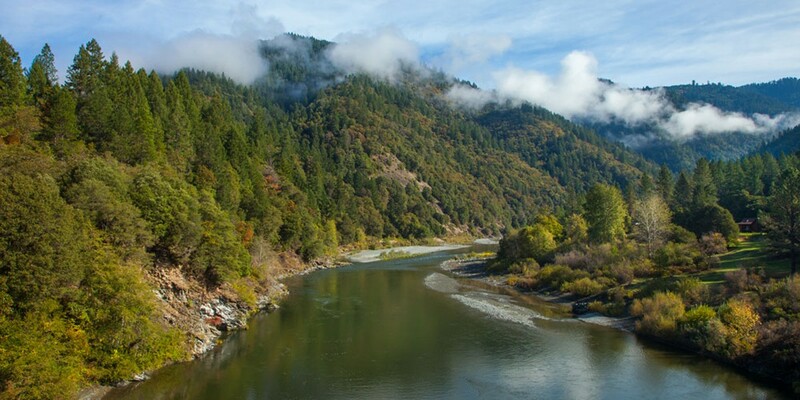 Another excellent venue for the maple madness is along the Wild and Scenic Eel River, which, like the Nile, flows northward until it dashes out into the Pacific near Ferndale. 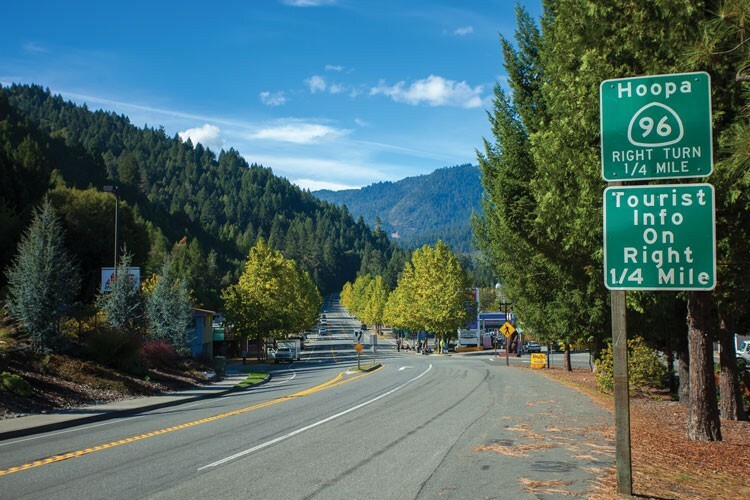 Whether along the Avenue of the Giants, which follows a stretch of the South Fork of the Eel, or along U.S. Highway 101 around Fortuna, which offers sweeping panoramas of the main Eel River valley, the quite noticeable bands of yellows of the maples clinging to the river banks in both directions offer a pleasant visual contrast to the usual greens, reds and browns of the dairy pastures and conifer forests. Farther north, other deciduous relatives takes center stage — the vine maples, which seem to droop and melt in riots of twisting trunks and branches over the creeks of Redwood National and State Parks. They are somewhat odd looking all year, not just because of their shapes but because they are often coated in wispy, eerie-looking mosses. Come autumn, however, they are transformed by seasonal splendor, their thick swaths of leaves all turned radiant gold. Given that the waterways are natural forest breaks, the sun has a chance to shine through and place these rare beauties in the spotlight. Some photographers consider this time of year the best to shoot the redwoods, capturing the seasonal contrasts. 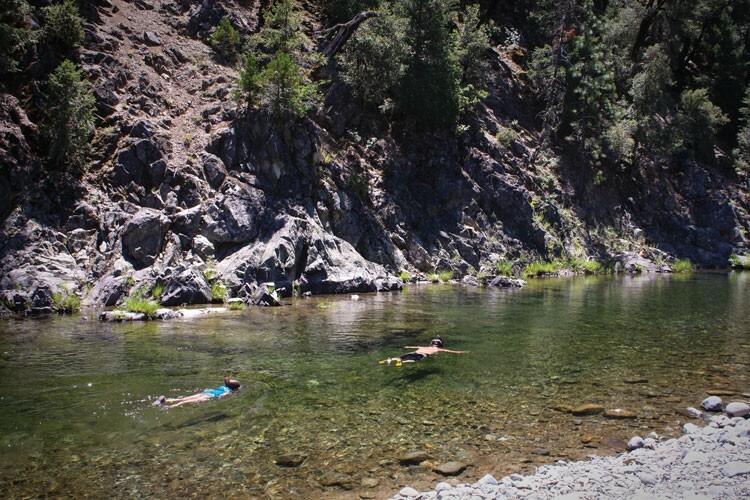 For a bonus stop, consider heading east on State Route 299 toward Willow Creek. The coastal mountains, usually cloaked in the uniform green canopy of evergreens, break out like firecrackers into bright rashes of yellow as pockets of mountain maples do their autumn thing. Since Earnest and May bought their Fortuna farm in 1908, the Clendenen family has been growing apples and making cider. Today, grandson Clif and great-grandson Drew are the primary members of the apple cider gang, but every visit and taste to the Clendenen's Cider Works (96 12th St., Fortuna. 707-725-2123, www.ClendenensCiderWorks.com) showcases the work of all the generations. While some trees in the orchard are modern varieties, others are originals dating back to the 1860s. Mix them together and one enjoys some of the most complex, pure, delicious, organic and unpasteurized ciders anywhere. 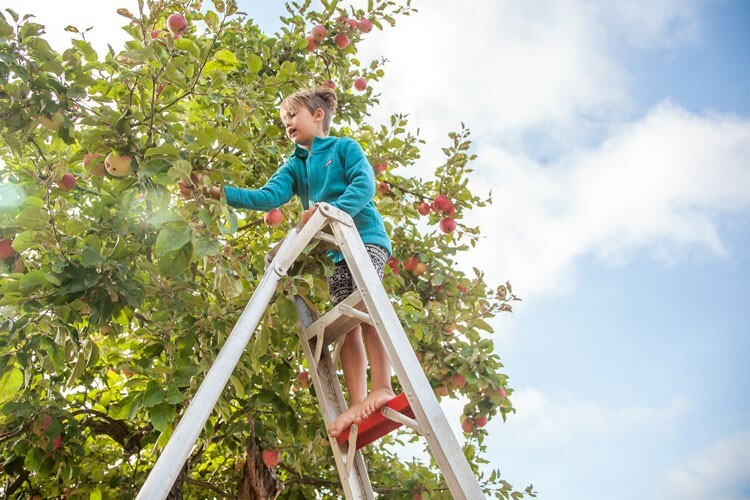 The Clendenens still use a traditional cider press, which keeps the kids and grownups entertained with its endless sputtering, rumbling and belt spinning. Stop by during harvest to see the action and sample the goods. Other days, their farmhouse shop still merits a visit, for bottled cider, pies and other family-made treats. Open August to January. Fortuna becomes the Big Apple the first weekend each October, as the Friendly City throws a party celebrating this edible member of the rose family. So on October 7 and 8, during the 34th annual Fortuna Apple Harvest Festival (Main Street and Rohner Park, Fortuna. 707-725-3959, www.sunnyfortuna.com), be prepared for pies, barbecue, country music, craft and vendor booths, kid staples like bouncy houses and fire truck demos, 30 kinds of locally grown apples and hayrides between all the venues, including the Clendenden's Cider Works. Cider-philes can test their core values at four popular spots in central Humboldt. First, there's the Humboldt Cider Garden in Eureka's Redwood Acres Fairgrounds (3750 Harris St., 707-798-6023, www.HumboldtCiderCompany.com, open Friday-Sunday), which has a kid-friendly lawn and picnic area. Next is the Humboldt Cider Tap Room in downtown Eureka (517 F St., 707-497-6320, www.HumboldtCiderCompany.com, open daily), which offers tasty bar food from Frankie's Bagels. Try the bagel fog with cheese. A few miles north in Arcata, the Local Cider Bar (828 I St., www.theLocalCiderBar.com, 707-630-5100, open daily) sports 17 ciders, four beers, two wines and one kombucha. Also in A-town, the Wrangletown Cider Company (1350 Ninth St., www.WrangletownCiderCompany.com, 707-508-5175, open Friday-Saturday) offers refreshments to those in the Creamery District, the nexus of an emerging Arcata arts and craft scene. Art is looking up in Eureka. For the most part, artists like the spotlight on their works, and place them where they can be easily seen and admired. What about the handful of creations that purposely lurk elsewhere, in particular, where people are least likely to look — over their heads? The imposing arachnid with beady eyes hatched 20 years ago from the minds of artists June Moxon and Ken Beidleman, as did a complete zoo of other fantastically strange creatures, like balloon-shaped fish and what seems to be a wispy hairless cat, that populate the ceiling of the pub. The two, among the leading designers of Kinetic Grand Championship machines each spring, are the de facto artists in residence, living in a flat upstairs, from which they often peddle an unusual kinectic sculpture craft sporting a slow triangle symbol, looking much like an Amish buggy carriage. A few Old Town blocks to the southwest, another whimsical creature floats above the entrance to the Hall Gallery and C Street Studios (208 C Street, Eureka, 707-498-0059), a collective of some of Humboldt's leading artists: wild colorist Augustus Clark, soothing realists Stock and Rachel Shleuter and "wire lady" Elizabeth Berrien. 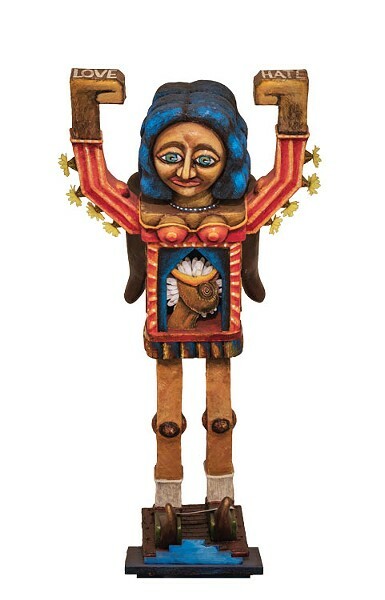 David White, a whimsical puppeteer, is the creator of the lonesome life-sized lady hovering directly above the downstairs door, who usually remains undetected in the foyer until one leaves the building. Then she is unavoidable and requires one's complete attention. One does not often see someone with a window in her torso, framing a sort of crazy chicken. 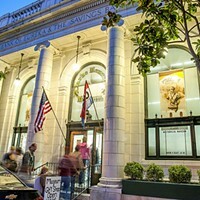 A third elevated apparition remains shrouded in mystery in the Clarke Historical Museum (240 E St, Eureka, 707-443-1947, www.clarkemuseum.org, open Wed-Sat), which boasts one of Northern California's best collections of Indian artifacts. Among the Yurok, Hupa, Weott and Karuk baskets, clothing, weapons, tools and canoes is an outlier, ceremonial bear regalia, made by a Kwakitutal tribesman long ago in British Columbia. Few observe the man-sized monster, composed of bear skin and fur, wooden head and claws, hemp fiber and, most noticeably, giant, staring glass eyes, as it stands silent sentinel in a corner of a second-story loft overlooking the Native American wing. But those who glance up do not soon forget what they see, a terrifying primordial bear apparition, which one local paranormal expert is convinced haunts the building. Children love wild pets and perhaps none is more ingrained in their imaginations than the hairy hominid of Humboldt, Bigfoot. Fifty years ago this October, Bigfoot made his/her/its film debut in the world famous Patterson-Gimlin 16-millimeter short, which seems to show a female of the species lumbering across a clearing in Bluff Creek. It makes sense that the world's largest collection of curios dedicated to the legendary man-beast is in nearby Willow Creek. 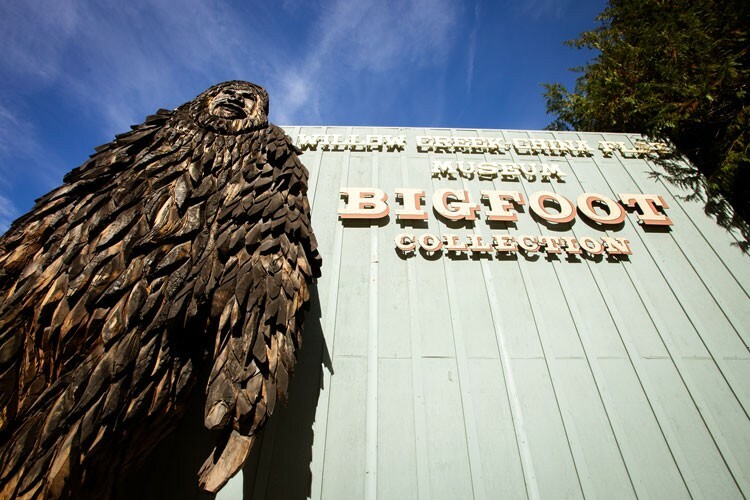 Wooden sculptures of the cryptozoological star stand sentinel throughout the mountain town on State Route 299, including a giant 20-footer outside the China Flat-Bigfoot Museum, (38949 CA-299, Willow Creek, (530) 629-2653, www.bigfootcountry.net), which houses an entire wing dedicated to the camera-shy creature. Photos, footprints, newspaper accounts, dioramas, wall maps with push pins and even a supposed fossilized ankle bone all make a convincing case that A) Bigfoots live and B) most of them like to hang out in the nearby hills, the most remote in the state, including Six Rivers National Forest, a 1 million-acre hide-and-seek playground for Bigfoot. Anxious to get on the road and have a look? Head north from Willow Creek on State Route 96, officially designated the Bigfoot Scenic Highway. The two-lane meanders through the scenic Trinity River valley, flanked by lush mountains carpeted in evergreens, perfect hiding places for you-know-who. Be mindful of the Bigfoot Crossing sign just north of Willow Creek, a good place for a photo opp. Otherwise, if you don't see, hear or smell any of them (they are reputed to howl and emit an odor like a skunk), as a consolation you can go down the river with Bigfoot Rafting (40630 CA-299, Willow Creek, (530) 629-2263, www.bigfootrafting.com), or stop at the Tish Tang Campground and River Park (101-333 Klamath River Highway, Hoopa CA 95546, (530) 625-4284, www.hoopaforestry.com/campground.html) for a picnic or overnight on a stretch of paradise in the Hoopa Indian Reservation, which crypto-researchers consider prime Bigfoot habitat. Wake the kids in the middle of the night with howls and hoots, if you want to scar them for life. To ensure you sight the creature, bring lawn chairs to Willow Creek on Saturday, September 2 at 10 am, when we promise you will see a whole family of them traipsing down Main Street. The town will host many Bigfoot-themed events over the long Labor Day weekend, but this is the 57th annual Bigfoot Days parade. See Bigfoots on a horse, dressed as Chewbacca, handing out candy, maybe even in a vintage tank or running for office. It's all possible. Afterward, the townfolk shift over to Veterans Park (100 Kimtu Road, Willow Creek), where bands, food trucks, bouncy houses and Bigfoot trinket vendors all vie for the attention of your little ones. Wander into the VFW hall and you just might bump into leading Bigfoot-ologists like Bob Gimlin, co-creator of the famous Patterson-Gimlin Bigfoot short, shot in October of 1967. It is the second-most viewed piece of amateur film footage. You can download the best scene onto your phone as an animated gif and tell your kids to hunt for a real creature instead of playing Pokémon Go. Making hay is no bull at Lost Coast Hay (5113 Myrtle Ave., Eureka, 707-497-6927, www.LostCoastHay.com), the leading producer and seller of — you guessed it — hay in Humboldt County. 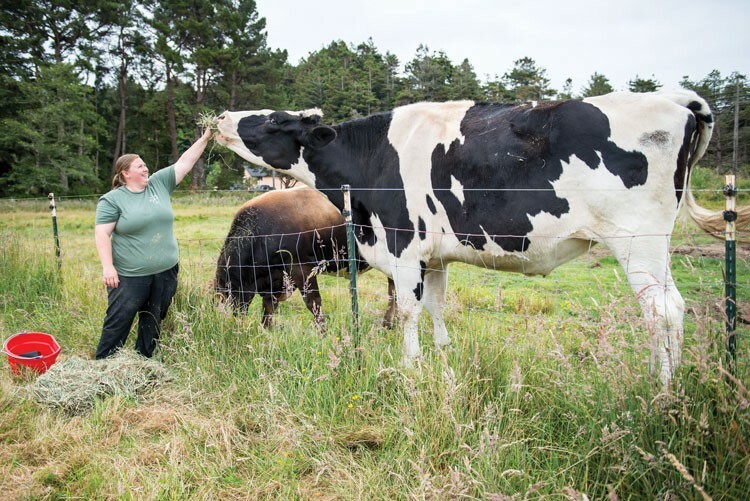 It's convenient for the world's tallest bovine, Danniel (two "n"s), because he lives on the property, which consists of a rambling old barn stocked with agricultural feed and seed goods, local foods, a few goats and countless cute chicks and ducklings. Outside there are fields overflowing in autumn with pumpkins and year-round with — you got it right again — hay. The wee fowl alone make the trip worth it for entertainment but gentle Danniel, a rescued drop calf that now as a full-grown steer stands at 6 feet 4 inches at shoulder height, remains the star attraction. Despite his height, he's one of the gentlest creatures on the planet and enjoys his people time, something he learned in his earlier home, Eureka's Sequoia Park Zoo. Unfortunately, at a bale or two of hay a day, he was eating himself out of house and home. Fortunately, Lost Coast Hay was able to adopt. The plays of William Shakespeare seem right at home in Arcata's Redwood Park, itself a rather magical place. The trees are part of a public open space atop a hill near Humboldt State University, with a playground, picnic tables, basketball court and a large clearing that makes a perfect theatrical amphitheater, which each summer hosts Arcata's Plays in the Park. On tap this summer, Love's Labour's Lost, one of the Bard's earliest comedies, which follows the King of Navarre and his companions as they try to swear off, unsuccessfully, the company of women, especially the princess of France. The production runs July 28 to August 19 on Friday and Saturday evenings. Plays in the Park is produced by North Coast Repertory Theater, the longest running live theater establishment in nearby Eureka. While mostly a volunteer effort, NCRT has many experienced theater pros among its ranks and its summer series in Arcata is quite popular. Order tickets early and park early, too. From the intersection of East 12th and Bayview streets, take the little spur road north, which then winds up to the parking lot in the park (707-834-0861, www.PlaysinthePark.net). 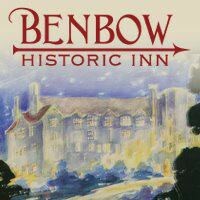 Speaking of magical evenings, a little known nocturnal tradition at the world famous Benbow Historic Inn (445 Lake Benbow Drive, Garberville, 800-355-3301, www.BenbowInn.com) draws a handful of uncommon guests to the Tudor-style hotel each autumn, seeing the rise of the full moon directly over the cleft of the picturesque Benbow Valley. It's not quite a solar eclipse but for those who have seen it, the phenomenon is unforgettable. Best viewing moons are those on August 7, September 6 and October 5. Mooning over the valley or not, Benbow guests this year are enjoying a completely revamped bar and restaurant in the main building, part of a $10 million restoration and expansion of the circa 1922 landmark to bring the original architectural dreams for the state landmark to fruition.